Although most associate Dior with fine French handbags and perfumes, the high-end brand’s Dior Homme line continues to expand the scope of its vision with an increasingly broad-spectrum range of luxe menswear creations. Most recently, the sub-brand has launched into luxury bicycles, with the Dior Homme x Bogarde BMX the initial result. Dior Homme partnered with French bicycle company Bogarde to create the sleek and stylish new BMX bike. The surprising collaborative creation adds an air of elegance to the traditionally rugged design. Bogarde is well known for its minimalist approach to BMX bikes, and this new bike is no exception, making it the perfect platform for the Dior brand. The bike boasts a pearlescent frame paired with black leather accents, Dior detailing, and red accenting on the tires and brake lines. Fashion photog Patrick Demarchelier perfectly captures the unique bike’s aesthetic in a series of stylish photographs, a few of which may be viewed below. 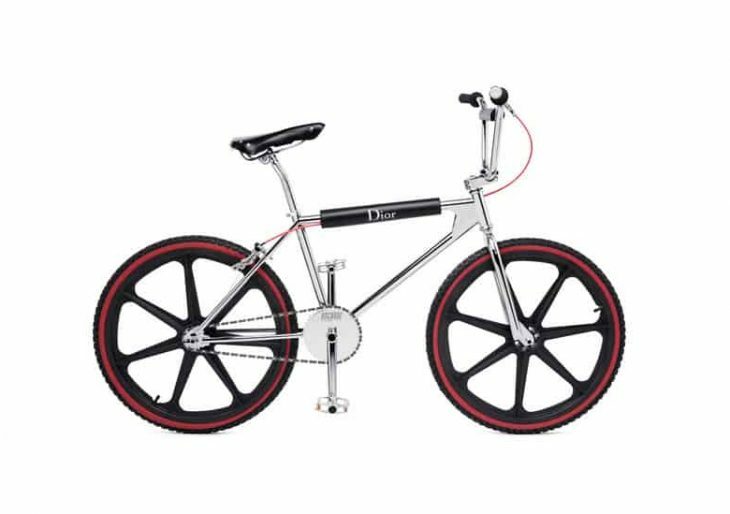 Only 70 examples of the Dior Homme x Bogarde BMX will be available, at $3,200 each.